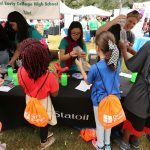 Energy Day is Houston’s largest annual FREE family festival showcasing science, technology, engineering, and mathematics (STEM). Energy Day has nearly 70 interactive demonstrations and exhibits that teach students and their families about the various forms of energy through STEM fields, along with efficiency, conservation, and other related STEM industries. Energy Day is Houston’s largest FREE family festival showcasing exhibits focused on science, technology, engineering and mathematics (STEM). 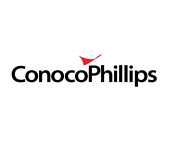 Energy Day will feature exciting exhibits and interactive demonstrations that will teach students and their families about various forms of energy and how through STEM education, they can find an exciting career in the energy industry. With the support of our local schools and energy experts, it’s our hope that students and families who attend can learn something new and develop an interest in STEM education. Sunny 99.1s Dana Tyson is our emcee each year; she is so passionate about STEAM, and she adds her well-known personality to an already fun setting. EDAP Winners are asked to check in to the right of the stage at 12:45 prior to the ceremony. Energy Day is possible thanks to support from our sponsors. What Are People Saying About Energy Day? We had tremendous success reaching out to STEM students and teachers this weekend at the Houston Energy Day Festival. We’ve already started our planning for next year’s event and greatly look forward to the opportunity to participate. Energy Day was a great event, and my son and I had a great time as well! Mona Cantrell, Community Engagement Specialist, Occidental Petroleum Corp. I wanted to extend my sincerest thanks to each of you for putting on such an impactful event for the community. It was truly an amazing experience to get to share our passion for energy and engineering with kids and parents.